Give peace a chance. 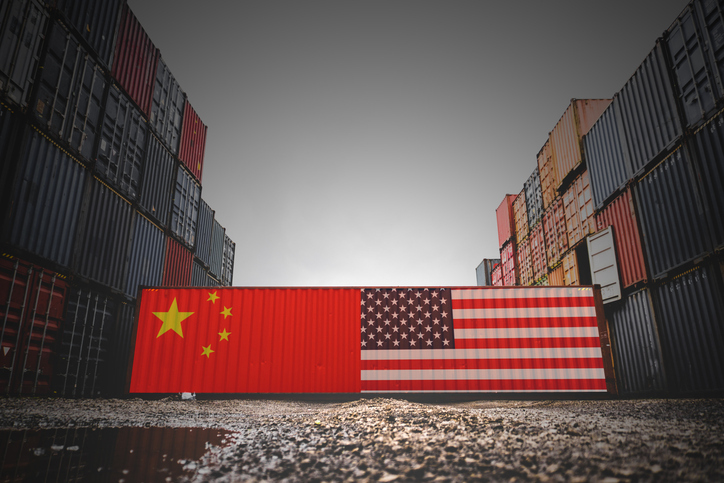 The so-called truce between the US and China had traders in stocks, bonds, and crude betting that better things will come. As reported here yesterday the 90 day truce, which included several “potential” concessions by the Chinese and a pledge by the US Administration to hold off a planned +15% tariff increase scheduled to take effect on Jan. 1. The news of the truce was initially met with great excitement as stocks traded up aggressively. As the details, or lack thereof, of the agreement began to be more closely scrutinized stocks traded off their highs but still managed to post some impressive gains on the heels of last week’s positive moves. Bonds also rallied yesterday as traders started to contemplate the potential end to the Fed tightening cycle. A pretty risky gambit based on three words in the Fed Chairman’s speech. Though there are signs that higher interest rates are having their intended effect on at least the housing and real estate sectors, the economy appears to be quite healthy. In fact, the trade war and not interest rates may have a lagged negative impact on growth. Barring any major changes, the Fed will continue to raise rates as high as possible not only to preempt an overheat but to give them headroom for cuts once the current economic expansion ends. There is still an 83.5% chance of a 25 basis rate hike this month with the possibility of 1 to 2 more in 2019. All that aside, bond traders were betting on lower rates yesterday as buying pushed 10 year yields below 3% and the yield curve between 2 year and 5 year maturities inverted for the first time since 2007. The more important and more closely watched spread between 2 year and 10 year maturities fell to around 15 basis points yesterday. Traders watch this closely because it has been a good historical indicator of recession. This morning we will start the session with 10 year yields at 2.95% and the 2/10 yield curve at +13.43 basis points (see charts 17 through 20 in my attached daily chartbook). Crude oil got a boost from news that Saudi Arabia and Russia may propose an extension of their agreement to cut supply at the OPEC meeting which will be held late this week (see chart 11 in my attached daily chartbook). The overall response yesterday was positive investor sentiment for risk assets. Though all of the major indices posted impressive rallies over the past several sessions they are still short of re-trending and remain risk off. Today we have no major economic releases and most of the releases scheduled for tomorrow have been pushed to Thursday making it a packed day ahead of Friday’s big Labor Department release. I have attached an updated economic release schedule that reflects the changes. Stock and bond markets will be closed tomorrow in observance of the passing of President George H. W. Bush, who passed away last Friday. With a lack of other stimuli, traders and commentators will continue to closely study the trade truce today. There will likely be further discussion on Fed linguistics and the inversion in the front end of the curve. Please call me if you have any questions.